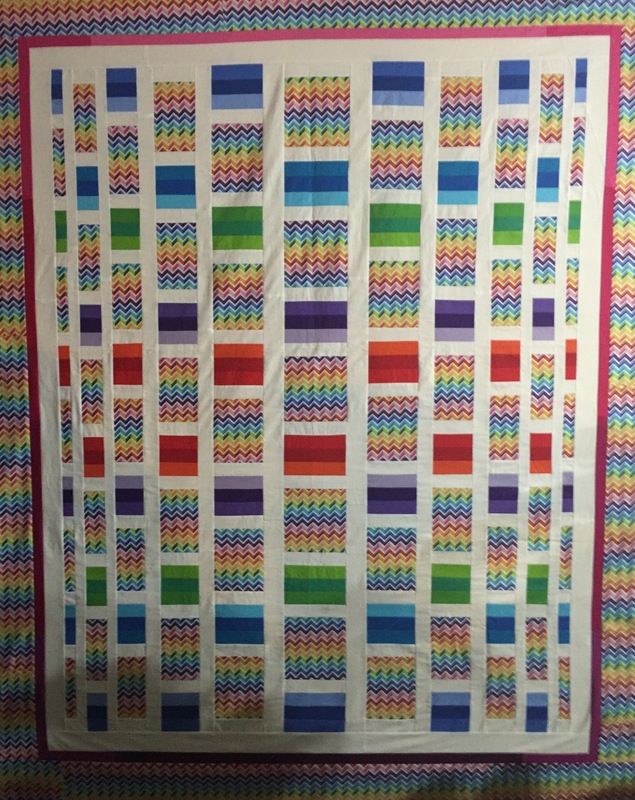 I got the borders added onto the Uneven bars quilt top. Since I pulled the solid fabric strips for the quilt from a couple packages of precuts, I didn’t have yardage of any one solid color. I debated over what to do and then decided to pull more precut strips of the pinks and use them for the inside border. You’ll notice they are light on the top and then get darker towards the bottom. It’s now ready to be quilted. It will have to wait for now as I have several customer quilts that need edge to edge designs on them. 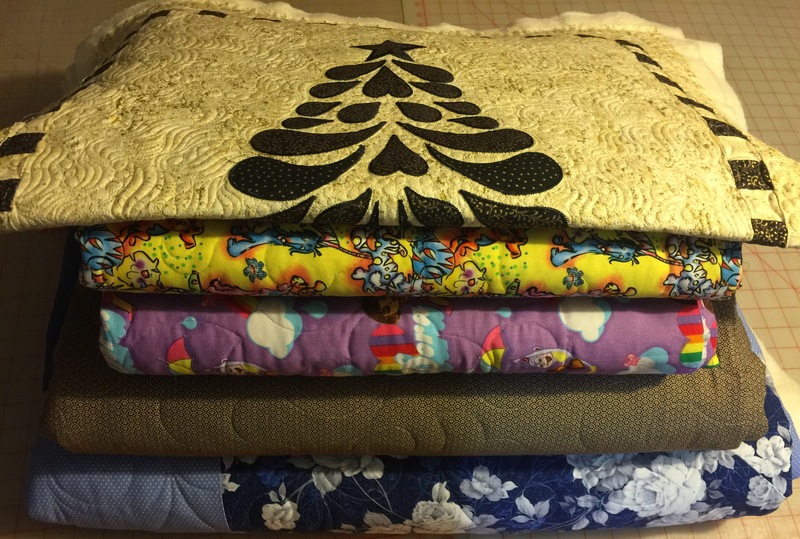 I did get these all quilted last week. One small custom and the others edge to edge. My design wall has these blocks on it today. 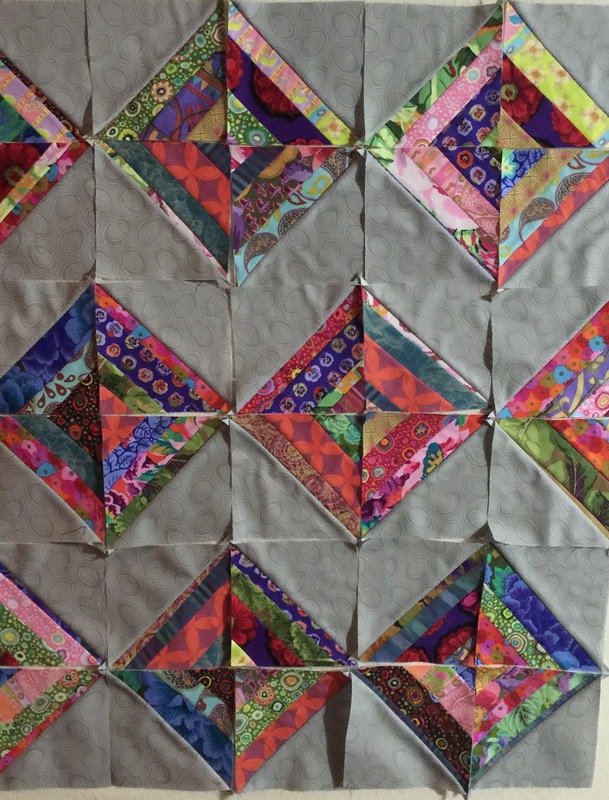 I’m working on a new string quilt design using Kaffe fabrics. These are leftover blocks that I’ll make into a second quilt. We’ve been enjoying apple pies this last week too! I’ve made 9 so far. 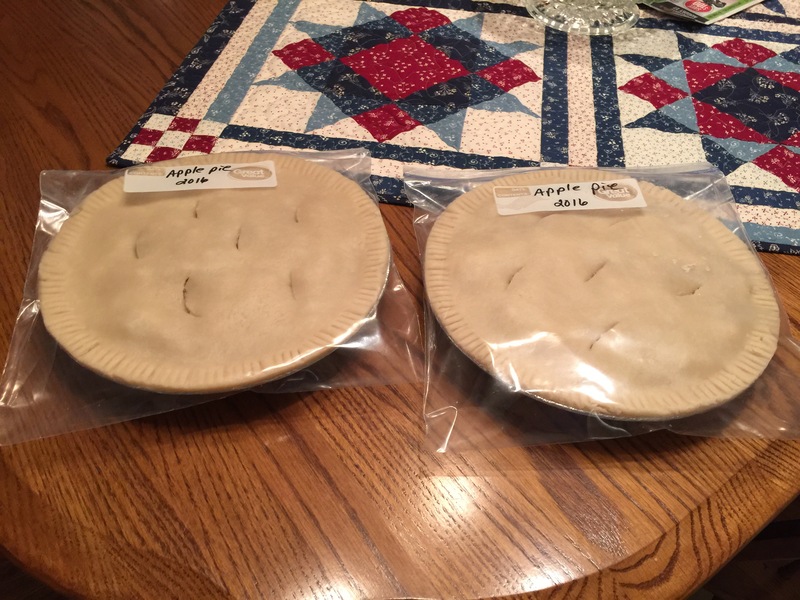 We’re enjoying our 2nd pie, I took one over to my sons house & I put 6 in the freezer. 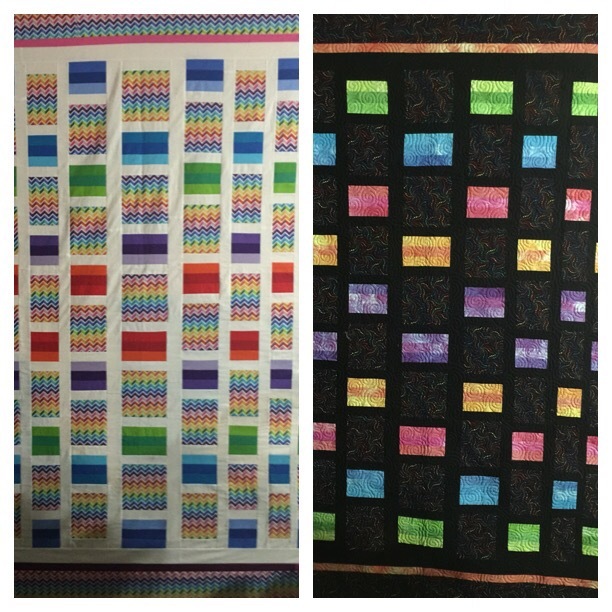 I was playing around with an app on my phone and put the 2 Uneven bars quilts that I’ve made, side by side in the picture.